The promotion of your web site is an ongoing activity. HOWEVER... before you commence your promotion you need to be completely clear about WHAT it is that you're promoting. Are your promoting the problem your site solves for people? You need to be doing the latter. People visit your site because they're looking for a solution to a particular problem, and they're hoping that you'll solve it for them. NOW... ALL effective promotion has a two step process. STEP One: Pre-qualify the person reading your promotion as someone potentially interested in what it is that you're offering on your site. STEP Two: Provide them with a solution THEY want. Well, imagine that you're a car salesperson, and someone has just walked on to your lot. They've just pre-qualified themselves as someone who's interested in buying a vehicle. They did this by walking onto your car lot. It's now your job - as a saleperson - to *provide them with the solution they want* If you do this well you'll make the sale. So, how does this same principle work on the web? Well, (obviously) people/ surfers don't physically walk into your web site, so you'll have to apply other tactics to pre- qualify your visitor. REMEMBER... all your promotional activity is meant to pre- qualify people before they reach your web site. Search Engines: Most people still find a lot of their information from Search Engines, so how do you pre- qualify people with S.E's? 1. Don't CHEAT. Make your site description RELEVANT, and only use relevant, targeted keywords. Ezines: Again, it's the same principle. Make the topics in your ezine relevant to the content/ context of your web site. Focus on solving specific problems. Advertisments: Again, it's the same principle. What you promote in your Ads must be relevant to either the site or the product you're promoting. No tricky headlines, no false promises... DON'T CHEAT. Recipricol Linking Strategies Link with relevant sites only. Search Engines: Ranking your site well in Search Engines is a specialist skill, and this topic is covered more fully in the previous section. However there are other techniques, which utilize the power of S.E's, that are extremely effective in attracting that precious *pre-qualified* traffic to your site. Search Engines (in part) rate site rankings through their link popularity. However, how do you find related sites effectively? Well, you use ZEUS. Zeus finds relevant link-swap sites for you. You approach these webmasters and trade links... the more content- relevant links you have the higher your ranking with the S.E's, and your link swap partners send you FREE, *pre-qualified* traffic every day. Glen Canady from Gorilla Web Site Marketing has written a book on how to get 1,000,000 hits - Yes, you read that right, 1 MILLION !! - in only 3 months using Zeus. Markus Allen's *Backdoor Web Traffic Multiplier* is an ingenius tool. He also has another ingenius system/ tool. It's not as targeted as his *Backdoor Web Traffic Multiplier* system, however what it does is manipulate and multiply sign-ups on the FREE StartPage systems. Ezines are very POWERFUL tools for selling on the web. However, with an estimated 300,000 plus ezines on the web how do you attract pre-qualified traffic that will sign-up with your particular ezine? Well, there's a powerful tool for that too: Ezine Announcer Just ONE of the things that Ezine Announcer does is automate the critical steps of "Announcing your ezine" to Ezine Directories. Michael Southon from Ezine Writer explains, step by step, how to get your articles ranked on Search Engines !! AND... he's got over 7,000 articles ranked on Lycos that demonstrate his point. B. Publish an eBook where all links lead back to you. AND... you'll need some tools for this. Both resources focus completely on the creation and marketing of ebooks. One resource deals with the easy creation of PDF ebooks, and the other with the creation of .exe ebooks. Killer Covers will do both your ebook cover and minisite... and with eCover Creator [or The Logo Creator as the main tool is called] you can create your own covers. So... you've invested all this effort to get people to your web site. They've arrived, they've looked at your site.... and? You have to follow them up !! This is where autoresponders come into their own, and they're a critical part of any web site promotion strategy. Autoresponders enable you to build business relationships with your visitors, automatically. They can send visitors previous copies of your ezine... or download instructions for that free ebook or mini-course you've created. AR's can be used in a myriad of ways to automate the promotion of your site. NOW... there are many autoresponder systems available on the web, some of them free. However, in my humble opinion, the most robust, fully featured, multimedia autoresponder system available web just has to be PROautoresponder. To implement this strategy you need to be selling your own product or service, which [incidentally] is the quickest path to web success. Basically, what you'll be doing here is utilizing the recources of affiliates to promote your site and or product/ service. The beauty of affiliate program is that you pay a *success percentage. * This means that you only pay when your affiliates have sold something. Again, as with all things web, there are many alternatives. Two robust alternatives are Clickbank ... where for as little as $50.00 you'll have a merchant account set-up and access to 100,000 potential affiliates within minutes. However, if you're looking for own fully featured affiliate program system then the market leader software [at the high end of the market] is My Affiliate Program. Now, both of these programs have different features, and ultimately you'll need to decide which suits your circumstances the best. There are many places to advertise on the web to attract that necessary pre-qualified traffic. There is also the possibility that you can waste a lot of money doing so. However, Terry Dean's site has one extremely valuable feature. 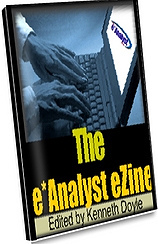 He does ongoing, response testing and measuring of different ezines and promotional forums. This knowledge can save you a lot of money. NetBreakthroughs. These above are some of the critical techniques to use with the promotion of your web site. HOWEVER... it is just not possible to analyse and list every possible technique here, as every day more techniques are being developed to attract that valuable traffic.